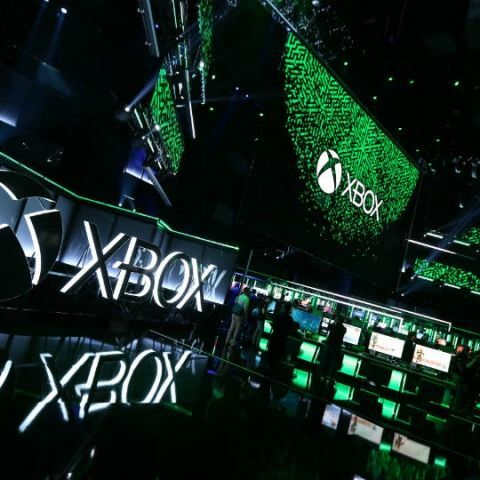 A poor choice of words on the part of Larry Hryb, the face of Xbox Gaming, led many to believe that the company would be showing off a new console at Gamescom later next month, which the man himself has denied. Last night, there a flurry of excitement amongst Xbox fans as news broke that Microsoft would be showcasing new Xbox hardware at Gamescom later next month. The excitement was a result of a blog post by Larry Hryb, Director of Programming for the Microsoft gaming network Xbox Live, who is more commonly known as Major Nelson. As part of creating excitement for next month’s gaming convention, the blog post ended up including the line "all-new Xbox hardware and accessories" in reference to what the fans can expect Microsoft to show off at Gamescom. All hell broke loose. Major Nelson has since issued a correction on Twitter admitting that his choice of words may not have been the best. The tweet read “This was an error on my side. I corrected my blog post & noted that it has been updated in the title and the body. Xbox Wire had it accurate. To be clear, we've got bundle and accessory news at @gamescom.” In short, there is no new Xbox console to be seen at Gamescom, but instead, Microsoft will announce new bundles and more interestingly, new accessories. While we know that the new bundles that will be announced will include upcoming games like Forza Horizon 4, what’s more, interesting is the news of new accessories. We’ve already seen Microsoft introduce custom made-to-order Xbox One controllers through the Xbox Design Labs, but there are rumours of a new Xbox One Elite controller doing the rounds. The new Elite controller is said to have a three-stage hair trigger lock, allowing you to adjust the depression of the hair-trigger more than it was previously possible. It is also being rumoured that the new controller will have a magnetic USB-C charging port and redesigned rubber grips. As of now, Microsoft has little reason to debut a new console at Gamescom. The Xbox One X, the company’s flagship console, enjoys a specification set that puts it ahead of the competition, at least on paper. As far as technology goes, the adoption of 4K HDR televisions has just begun, so there is little need for an upgraded Xbox One X since it already supports 4K HDR gaming at 60fps. Same goes for the Xbox One S which is slightly underpowered in comparison to the Xbox One X but does offer similar gaming performance for the average gamer. #CONSOLE WARSXBOX ONE VS PS4WHICH TO GO FOR? When will the blue mix champs contest over and will announce winners? ?